Mandy graduated law school from the University of Mississippi (Ole Miss) and earned her undergraduate B.S. degree in Accounting from Springhill College in Mobile, Alabama. She began the practice of law in 2003 in Jackson, MS with a medium sized law firm. Her practice consisted mostly of insurance defense litigation and various creditor bankruptcy matters. 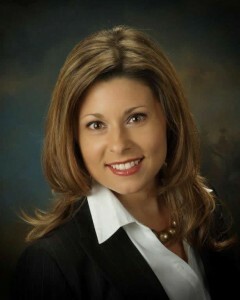 In 2006, Mandy moved to Mobile, AL where she practiced with a medium sized full service law firm. She continued her practice in the area of general civil litigation matters, which mostly dealt with insurance defense and construction claims. In March 2015, Mandy opened her own law firm in downtown Mobile, AL. In 2017, Barton Law, LLC moved its office to downtown Fairhope, AL in order for the firm to be central to both Mobile and Baldwin Counties. Her firm’s practice focus remains in general civil litigation where most of the cases handled involve business, commercial, contract, construction and insurance claim matters. However, the largest part Mandy’s practice is now focused on serving as outside general counsel for small businesses that cannot justify the expense of in-house legal counsel. Her goal in serving as outside general counsel is to essentially be on call for her business clients whenever they need advice or guidance on issues to prepare or prevent future litigation. Her firm also handles matters dealing with creditor’s rights, personal injury, landlord/tenant issues and probate matters. Mandy also handles multi-district litigation matters as the result of her involvement with defective Chinese drywall claims over the last five years. In her more than 16 years of litigation experience, Mandy has received favorable jury and non-jury verdicts for her clients in both state and federal courts located in Mississippi and Alabama. Clients mostly consist of national, regional, and local companies and businesses, contractors, suppliers, homeowners, condominium and homeowners’ associations, individuals, and business owners. Early resolution for a client is always Mandy’s number one goal in handling a matter for her clients. However, she is experienced and willing to see any matter through the trial stage of litigation if needed in order to obtain the most favorable result for her clients. No representation is made that the quality of the legal services to be performed is greater than the quality of legal services performed by other attorneys.